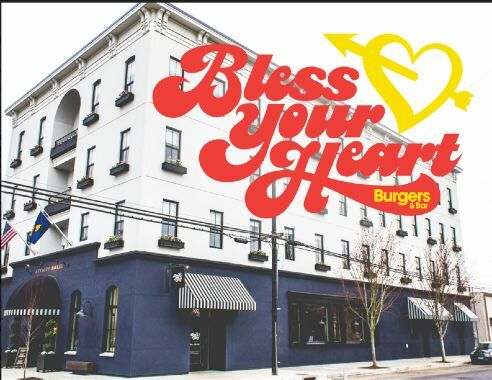 Bless Your Hearts Burgers at Atticus Expands Menu McMinnville’s Atticus Hotel is expanding their menu offerings based on customer feedback. A new Happy Hour Menu has been added with dishes like nachos, hush puppies and Carolina Cheesesteak and Pretty Damn Good Chicken Strips. The burger menu salad offerings have been updated as well. The dessert menu now offers milkshakes, hot fudge sundae and “Death by Chocolate” ice cream cones. The cocktail menu has been completely revamped as well and local Willamette Valley wines are on cask. Brunch available daily from 8 am to 12 pm has new additions as well. Mark Tarlov Releases First Single Origin Wines The Rose & Arrow Estate at Chapter 24 is the consummation of a five-year investigation into the natural causes that produce the drinking experiences we love. Harvesting multiple lots up and down the Willamette Valley, we discovered that the wines we love begin on articulated ribbons of eroded volcanic rock. This is our place where the vines carry the character of the hill in its most primitive, liberated, detailed and delicious form.” Pinot Noir has been released from seven Oregon places. Early reports from the wine press heap lavish claims about these wines. The wines also push into triple digit pricing, with prices varying from $100 to $120 to $150 a bottle. Pinot in The City Denver 50 wineries from Oregon’s Willamette Valley will be showcasing Pinot Noir, Chardonnay, Pinot Blanc, Pinot Gris and sparkling wines on Tuesday, August 21. Owners and winemakers will be pouring a selection of wines including library and current releases, paired with Pinot Noir-friendly small bites. For tickets, visit www.willamettewines.com/pinot-in-the-city-denver/. 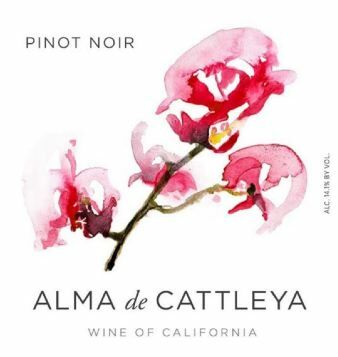 Alma de Cattleya Wines has New Website The Alma de Cattleya wines, crafted by Bibiana González Rave, include Sauvignon Blanc, Rosé, Chardonnay and Pinot Noir. The project was based on her desire to craft a wine that she could export to here native Columbia, at a reasonable price for everyday drinking. Visit the new website at www.AdCWines.com. The wines are sold on the website, through a mailing list and through wine retailers. 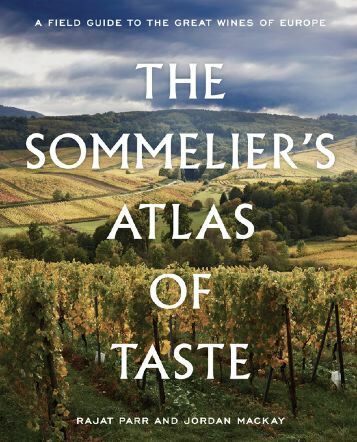 New Book: The Sommelier’s Atlas of Taste Raj Parr and co-author Jordan MacKay set out to answer the question, “Why do the great wines of the old world taste the way they do?” Raj asked the great winemakers of Europe all the questions necessary to understand their wine, the land and their traditions. Preorders are being taken for signed copies that will ship 11/5/2018. Zazu Food Truck Back at Davis Family Tasting Room For Summer The Zazu Food Truck is back on Saturdays and Sundays beginning June 16 and 17. Zazu will be serving up gourmet food at the tasting room and garden next to the Russian River Valley. Buy a bottle of one of Davis Family Vineyards award-winning wines, take it out on the deck with a beautiful view and feast on a Zazu Black Piglet BLT. 52 Front St. in Healdsburg. Astro Motel Offers Adventure Package The 34-room Astro Motel is a stylish remodel of a 1963 motor lodge located in Santa Rosa, CA. The Astro is urban, affordable and furnished with original midcentury modern pieces acquired at nationwide auctions. Book until June 30 for 1 queen accommodation, 2 bike rentals with a map to one of the many Santa Rosa parks of your choice, and a picnic prepared by The Spinster Sisters Restaurant (whose owner, chef Liza Hinman, also heads the team that owns the Astro Motel) located nearby. $179 a night Sunday-Thursday. Visit www.TheAstro.com. The Spinster Sisters is currently my favorite restaurant in Santa Rosa. Results of 2019 Pinot Noir Masters This year’s competition again highlighted the quality of Pinot Noir from the US and New Zealand. Some wines swung towards two extremes - either too light and green, or too rich and alcoholic. Top Pinot Noir wines from the US were from Domaine Serene, Penner-Ash, and Gran Moraine. Copain and Hahn performed well in their less expensive category. Pinot Noir #3 among Top 10 Wine grapes in the United States Per and Britt Karlsson compiled a listing of the top 10 most popular wine grapes in the United States: https://www.forbes.com/sites/karlsson/2018/06/08/the-most-popular-wine-grapes-in-the-us-chardonnay-andcabernet- the-full-top-10-list/#132913bdfbfb. Discarding non-wine-making grape varieties such as Sultanina and Concord, there is roughly 800,000 acres of vineyards for wine production in the United States. The most planted variety is Chardonnay with 106,000 acres. Cabernet Sauvignon is in second place with 101,300 acres. The spectacular growth of Pinot Noir puts it in third place with 61,800 acres. Pinot Noir is the #2 red grape in California behind Cabernet Sauvignon with 45,300 acres planted, and is the #1 red grape in Oregon, with 18,300 acres planted. Alcohol Sales at Grocery Stores Exceeds All Other Foods in Growth From 2011 to 2016 USD sales growth by grocery department showed a clear advantage for alcohol sales with a 25.3% increase. The grocery industry has not paid enough attention to this and could do even more to promote alcohol sales. Santa Monica Garagiste Wine Festival This is becoming a popular event since it presents the wines of small, boutique wineries. A majority of the participating wineries do not have tasting rooms and are trying to find an audience. 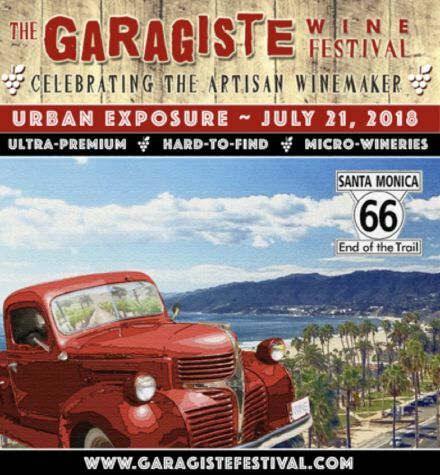 The next Garagiste Wine Festival will feature over 45 wineries on July 21, 2018, in Santa Monica, CA. Participating wineries reviewed in the PinotFile include Cutruzzola Vineyards and Kitson. This is not a Pinot Noir festival but offers wines of all kinds. Tickets available now: visit www.garagistevestival.com. NW Wine Shuttle This company offers ecoShuttles fueled with biodiesel. The company’s first route features the Dundee Hills. Guests visit the website to design their own wine experience, choosing from a list of wineries they wish to visit. If their minds change when in route, guests can hop off wherever they’d like. For information and fees, visit www.nwwineshuttle.com. Five New sub AVAs Proposed by Willamette Valley Winegrowers As if it is not confusing enough for the consumer, with six sub AVAs in the Willamette Valley AVA, five more sub AVAs are currently being reviewed by the TTB. The new proposed sub AVAs include Tualatin Hills, Laurelwood, Van Duzer Corridor, Mount Pisgau, Polk County and Lower Long Tom. An AVA on an Oregon label ensures that at least 85 per cent of its grapes were grown in the specific AVA and this is said to build consumer confidence. The division among areas of the Willamette Valley is creating a confusing system like Burgundy’s village system that few people truly understand. Honestly, in talking with numerous consumers apart from Pinot aficionados, most refer to Oregon as the source of a wine and maybe Willamette Valley, but very, very few can spout off the names of the six current sub AVAs in the Willamette Valley and understand the differences among them. My extensive experience tasting Oregon Pinot Noir does allow me to appreciate the current six AVA differences, but I am often fooled when wines from various sub AVAs are tasted blind. Oregon Wine History A new website at www.oregonwinehistory.com has been developed by Herb Sims, a winegrower and winery co-owner that documents the history of the Oregon wine industry. There is a well-researched and exhaustive listing of pioneering vineyards and wineries. Domaine Serene Reaches Out to Portland Domaine Serene seems to be in the news constantly and the latest is the opening of a wine lounge inside downtown Portland’s Sentinel Hotel. The tasting room opened in April and offers rare wines by the glass and bottles for drinking in the wine lounge or off premises. Summer Oregon Wine EventsTenth Annual Forest Grove Uncorked! will be held August 18, 2018 on Main Street in Forest Grove. Wine, spirits, microbrews and food experience. Tickets at www.fguncorked.com. The Oregon Croquet Classic, presented by Classic Wines Auction, will be held at the Stoller Family Estate in Dayton on Saturday, July 21, 2018. Wine tastings, lawn games, gourmet bbq and live entertainment. Benefits five nonprofits serving children and families. Tickets at www.oregoncroquetclassic.com. Small Bits Winemaker Jeff Hansen, founder of Anderson Valley’s Lula Cellars passed away · Ian Burch is the new winemaker at Archery Summit in Oregon. He began his career in Oregon at Evening Land Vineyards and most recently Scott Paul Wines · The Donum Estate in Sonoma Carneros now boasts over 35 works of art on display, including works by renowned artists such as Ai Weiwei and Keith Haring. The Donum Estate has incorporated some of the art into their labels · Cuvaison is approaching its 50th anniversary and created a new brand platform, visual identity, packaging and website. 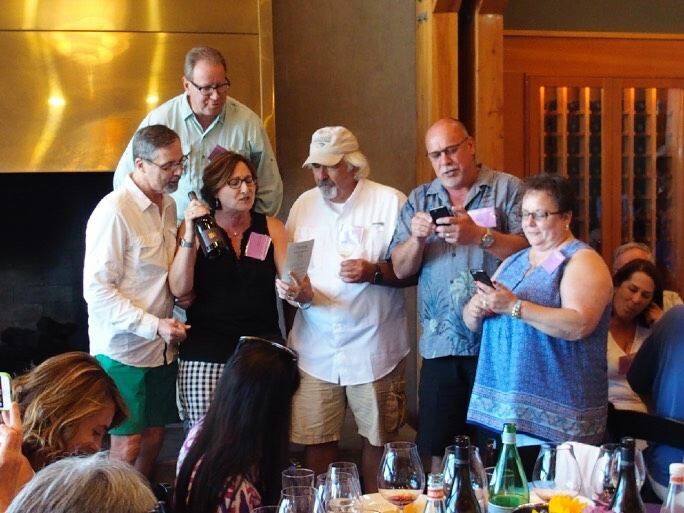 2018 IPNC Last Call The 2018 International Pinot Noir Celebration (IPNC) will be held July 27-29 at Linfield College in McMinnville, Oregon. This 3-day event is considered the best Pinot Noir Festival in the US, and an absolute must for Pinot Noir lovers. I have attended multiple IPNCs and thoroughly enjoyed myself each time. Limited tickets are still available at www.ipnc.org. Check the website for a full listing of participating wineries, including LUMOS Wine Company and Coelho Winery, whose wines were highly recommended in this year’s PinotFile.